The visit was part of a whisky tour by Paul with Anders (Finland). Russell was happy to receive us, many thanks go to Alex for his help, have known him a wee while, it helps to have friends like him. I have been here a few time and looked forward to this, well in advance! 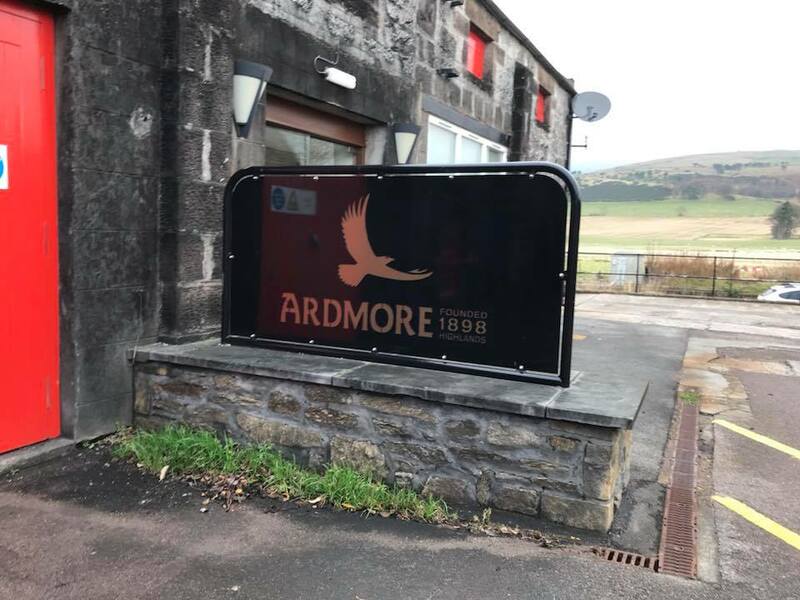 Ardmore Distillery, near Kennethmont in Aberdeenshire – near Huntly for those without a map (is in a nice location that another pal of mine knows very well as her family hail from there – Linzi) with – as many distilleries do, a railway line running alongside, with its’ own signal box. Am told they get their water from no less than 16 springs up on the Knockandy Hill. Maybe more famous for their Teachers brand, this used to be really popular when I was young, almost no pubs stock it now in Scotland. Its’ main markets now linger would you believe in Brazil and India! The distillery has capacity for 5.5 million litres of spirit annually and is now a Beam/Suntory prisoner. Last time I was there I was no driving, as our group was 14 or so very nice Swedes, so lucky me was co-pilot on a coach, woo hoo! Meaning I could sample the goodies. So, Russell explained to us they have basically two types in production; Ardmore and Ardlair, The latter is the unpeated jobby, mostly used for blending (some put aside for Ardmore single malt bottlings, ie; Legacy). While feints and foreshots are re-used for Ardmore. Distillation therefore is from scratch each time. I’m no whisky geek but can “get this into ma head”. 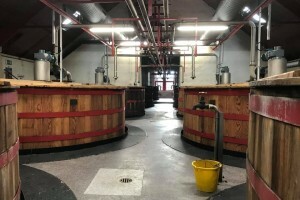 The still room has a straight line of 8 stills, where is the twin line? The pattern? The circle? 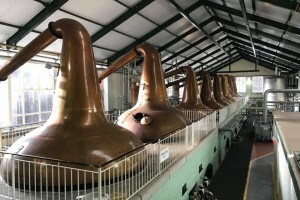 With two wash stills are at either side of the 4 spirit stills in the middle – unusual eh! You know, going around with Ando, I got to thinking “I hope they don’t get a visitor centre here, it would spoil it” (there are plans afoot). 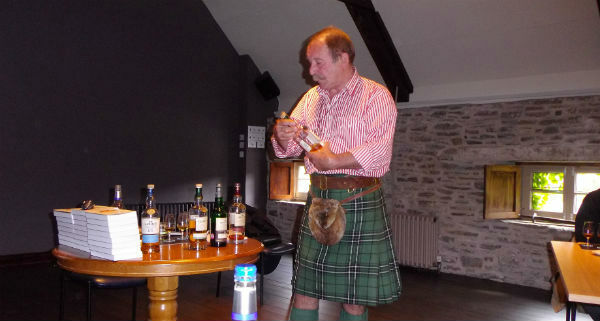 He had sample drams while I looked on disapprovingly, a great tour thanks Russell, I have been here a few times but still long to visit again. Be told, I will to be sure!